Notice: This page is about full port of ReactOS desktop operating system for original Xbox. For the Xbox gaming kernel see Run Xbox Games on ReactOS‎. 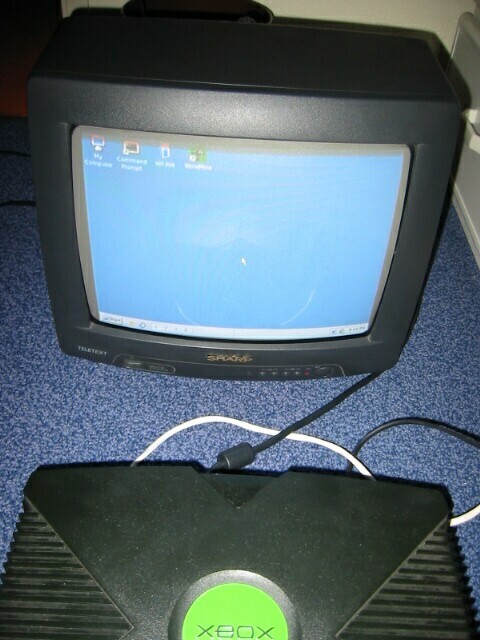 ReactOS Xbox port targets the original Microsoft's Xbox gaming console, which is based on Intel Pentium III (Coppermine) processor that ReactOS could support. See Install ReactOS on Xbox. The port was started by Gé van Geldorp at r11926 and firstly got into ReactOS 0.2.5, but has since regressed and is unmaintained. In ReactOS 0.3.0 Xbox's I2C support was moved to a separate file, and support of LEDs switching was added by Aleksey Bragin. In ReactOS 0.3.4 boot regression was fixed by Hervé Poussineau, but still no support for USB keyboard/mouse. Xbox port revival was suggested at Google Summer of Code 2010 ideas. Xbox executable support was suggested as Google Summer of Code 2019 idea. Undocumented hardware components that need drivers. Lack of people with low-level programming and reverse engineering skills. Microsoft has discontinued original Xbox since 2006, so few people with a working console left, and their number is decreasing. Xbox HAL exists. See halxbox module. Support for FATX file system exists in freeloader, fastfat driver, and ufatx module. See File Systems#FAQ and ReactOS Git grep. Basic video miniport driver for nVidia NV2A GPU (PCI\VEN_10DE&DEV_02A0) exists. See xboxdisp.inf and xboxvmp module. Custom Cromwell BIOS previously existed in the repository. See boot/xbox/cromwell. Other commits related to Xbox port development. XQEMU project can be used to virtualize target platform and to test ReactOS Xbox port on a regular PC by using emulation.